WarehouseOS , a new tablet-based Warehouse Operations System brings warehouses into the future today. Warehouse management systems have been around for a long time with too many companies still using the RF gun to conduct inventory management, scan in new items, and pick orders. The RF gun solutions typically cost double what modern solutions offer. WarehouseOS and associated apps have been developed to make everything about the warehouse easier and better. Apps allow small or large companies to receive products, manage inventory, perform cycle counting, conduct single picks or do batch picking, verify items picked and pack them into boxes. A team of experts in material handling equipment and solutions developed WarehouseOS to maximize the throughput of warehousing and distributing facilities. From small eCommerce, to high volume SKU facilities, from omni-channel companies to FMCG (fast moving consumer goods), WarehouseOS is equipped to handle everything. From small startups with simple needs to complex, large distribution centers, WarehouseOS is the tablet solution which enables manufacturers and distribution centers to be a step ahead of the competition. 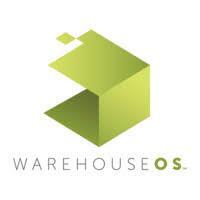 Follow WarehouseOS on Twitter @WarehouseOS.